I posted a recipe for raw carrot cake squares a few days ago. If you haven’t seen it, here is the link. 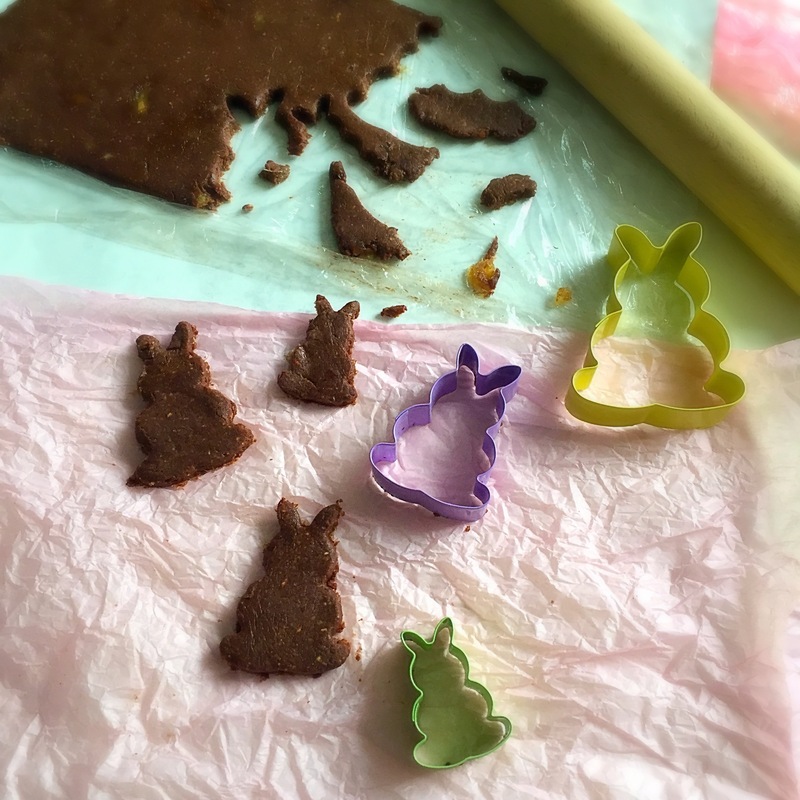 These raw Oreo chocolate eggs and bunnies are made from oats, dates, almond pulp, cashew nuts and maple syrup. They are raw, vegan and gluten-free. – In a food processor blend the dates, almond pulp, cocoa powder and oats on a low speed for about three minutes or until it forms a stick dough. It it’s too dry, add more dates if too wet, add more oats. – Soak the cashew nuts in water for approximately 4 hours. – In a high speed blender mixed the drained nuts, maple syrup and vanilla essence until smooth. Add a little bit of almond milk or water if it’s too thick. – Add the coconut oil and process until well combined. – Set aside in the fridge for about 4 hours or until thickened. Gently press the mixture into a silicone egg mold, and allow it set in the freezer for about an hour. . 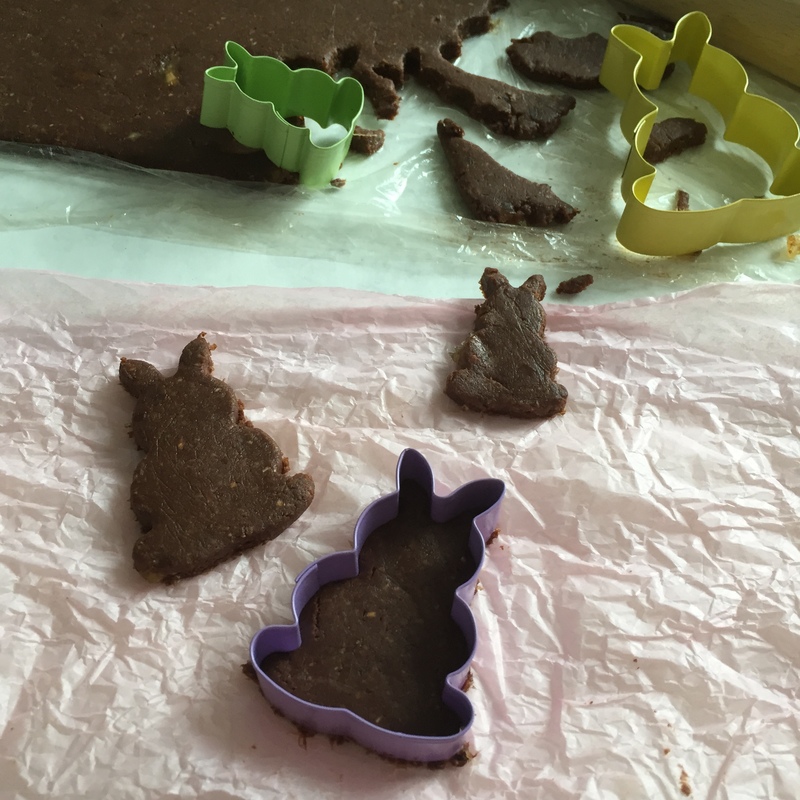 Roll the dough as thinly as possible and cut bunny cookie shapes with a bunny cookie cutter. Allow it to set in the freezer for about an hour. 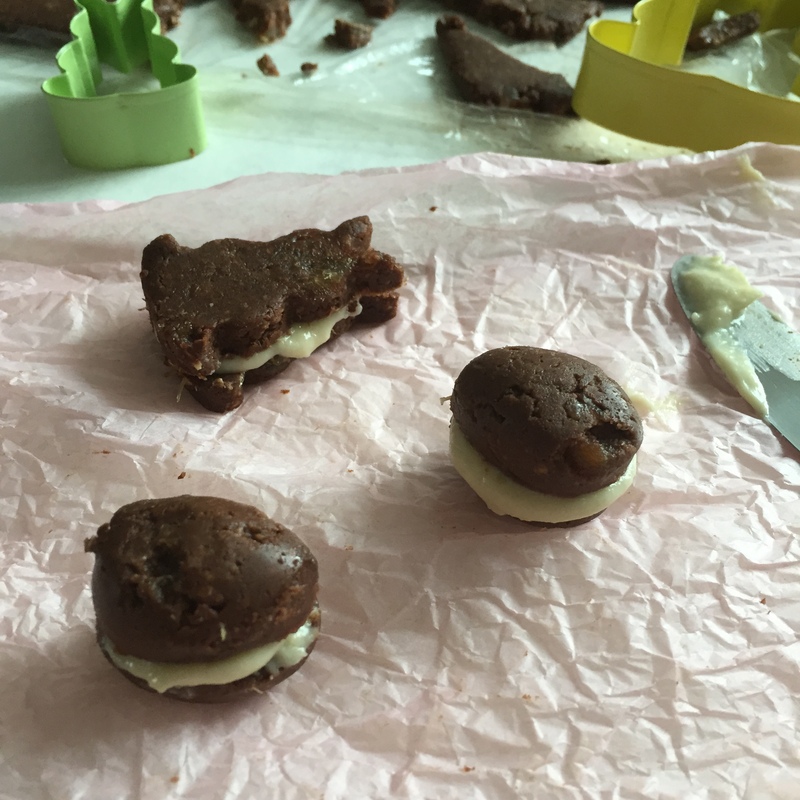 Spread the vanilla filling evenly onto half of your “cookies”, and gently press the remaining cookies on top of the frosted ones. Allow it to set in the freezer for an hour.